Sheet metal working at Forceertechniek Koolmees B.V. consists of three different disciplines; Laser cutting, Folding & Bending and Welding & Soldering. By combining sheet metal working with our other business units, we can support our clients throughout the entire process. Forceertechniek Koolmees B.V. invested heavily in the sheet metal working business unit. 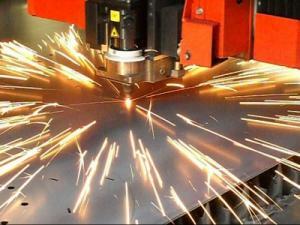 We’re specialized in laser cutting, folding and welding various materials. More information about each technique can be found in the menu on the left side of the screen.